Ansal Forte a premier project on Hosur road at Bangalore shall be the fore runner of numerous other projects that shall bring high value and high quality housing to the city of Bangalore. Situated on Hosur Road, Ansals Forte commands one of the finest locations of the city. 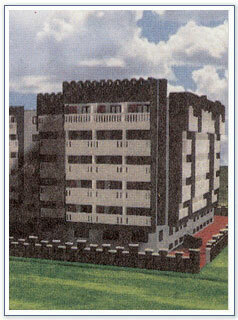 Neighbour to Bangaore's elite residential township Koramangala and B.T.M. Layout and in close vicinity to Baldwin School, Military School, St. John Hospital. Conceived to be a Haven for a privileged few, Ansals Forte consists of ground plus five storey building amidst landscaped greenery. 1st Floor 1315, 1430, 1433, 1444 sq.ft. 6th Floor 1161, 1372, 1304, 1390 sq.ft. Located at 16/2A, Rupena, Agranara Hosur Road, Bangalore - 560 034.